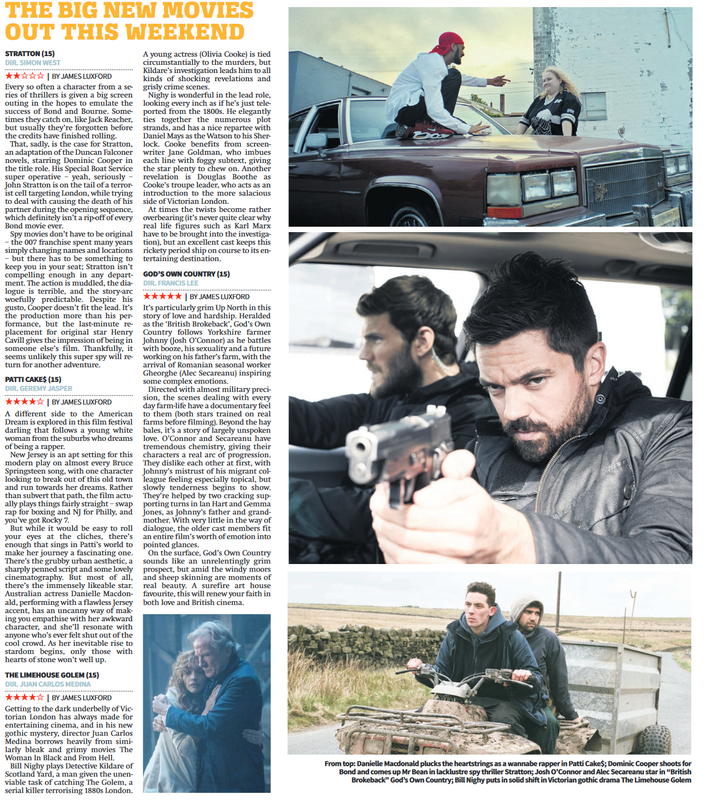 Please click the image to read my reviews for City AM. Please click the link above to listen to my reviews for BBC Oxford, broadcast 31st August. I review the films The Limehouse Golem and Patticake$, as well as looking at the UK Box Office and events in Oxford.